Ever since we completed our work at the sea otter habitat over at the Clearwater Marine Aquarium, we like to check back in with our furry aquatic friends from time to time. With the aquarium's Otter Cam, you can take a peek at the otters at play (and our work) in real time! 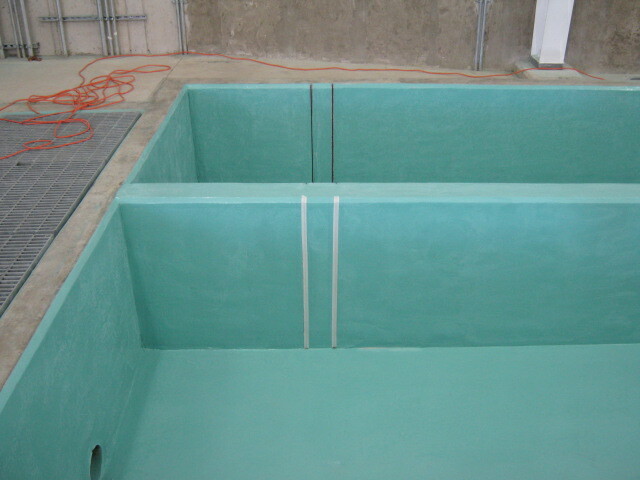 We also completed work in the aquarium's Sea Turtle habitat, which has a cam of its own. We're happy to play a part in creating safe and healthy habitats for wildlife in all forms! 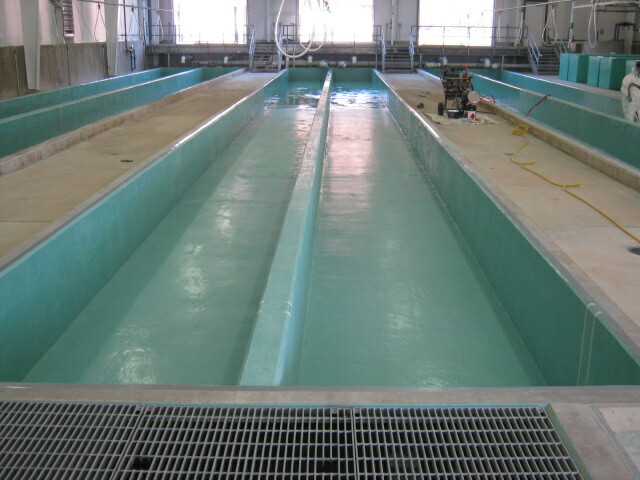 SCS in conjunction with HDR worked with this particular hatchery that underwent a complete renovation of their facility. The project scope included the concrete rehabilitation and coating of the six raceways in the newly eclosed building. The coating specified for this project was PPC Coatings Polymorphic Polymers. This is a highly modified, rapid curing thermoset resin that can be applied to new and old concrete, steel, and fiberglass structures that require long lasting protection in severe corrosive and abrasive environments. 5X the strength of typical Portland concrete for abrasion resistance. Virtually the same coefficient of expansion as concrete and will not crack. 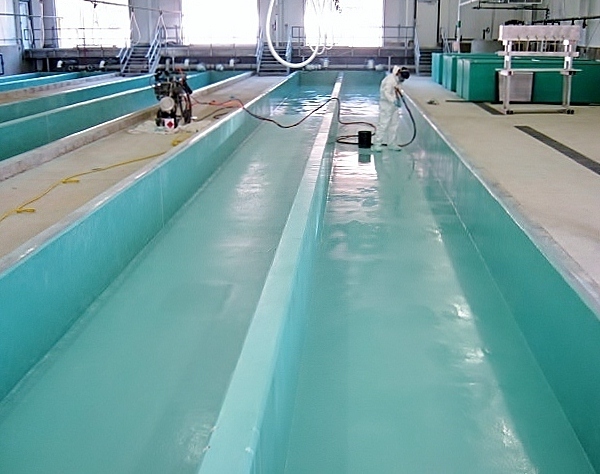 The resin can be applied at temperatures less than zero (0) degrees F.
Will be useable 2 hours after the application. After the concrete surfaces were abrasive cleaned and profiled, the coating was applied in 3 stages. First all the surfaces received a prime application of the resin. Next the surfaces received an intermediate build application to fill small voids and imperfections in the concrete. Finally a pigmented top coat of the resin was applied to smooth all raceway surfaces. SCS worked with a major international chemical processing company to help specify the coating materials for a chemically aggressive environment, supply the manpower, project equipment requirements and schedule to complete the coating of an elevated storage tank. This project was successfully completed safely, on time and within budget . Ultrasonic Testing (UT) was performed to determine tank shell thickness and corrosion issues. A crane with man-lift to perform the project functions on the open-top tank. High-Pressure (+35K PSI) Water Jet equipment was used for the removal of rust scale and thick film coatings. All tank weld seams were inspected, with welding repairs performed. A 2-pass chemical resistant coating system was applied for the primary containment of pH 1 - 14, 170F materials. igh Voltage Holiday Detection to correct deficiencies in the coating porosity. SCS is a full-service industrial coatings and linings provider offering a complete complement of fast-set spray applied elastomers, highly chemical and abrasion resistant resins, and traditional two-part coatings. SCS has a great team of trained and certified applicators who work hand-in-hand with our clients to provide service, quality and safety—second to none in the industry.